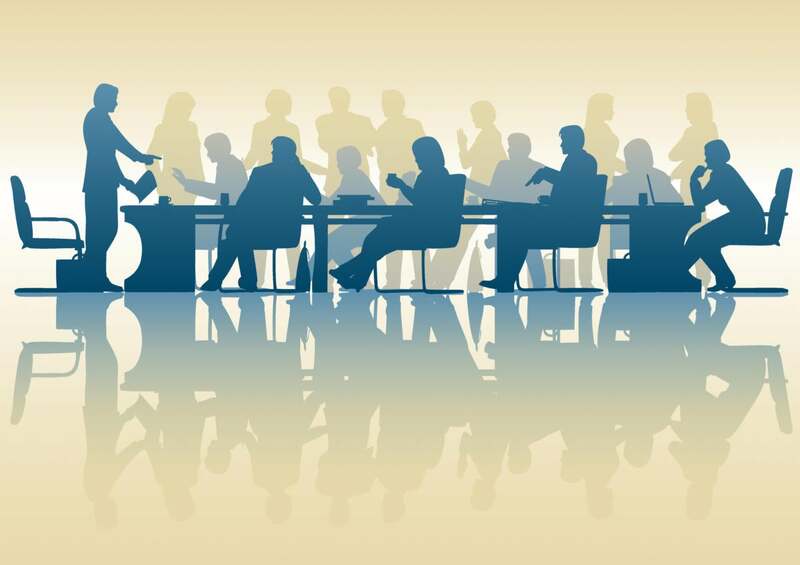 Staff meetings can be great opportunities to move the organization forward. Bob Ronan identifies best practices and common pitfalls to help focus the senior management team -- as well as the broader organization -- on the initiatives that are most important to the success of the organization. Two quick questions – do you circle your boss’s staff meeting on your calendar and look forward to it? Or do you jump for joy when it is cancelled? Unfortunately, many people answer YES to the second question and — here’s the bad news — your staff might be thinking the same thing about your meetings! So, let’s talk about techniques for making your staff meeting a great experience. DO use the staff meeting for recognition. People love to talk about the work being done in their areas and employees love it when their work is recognized. An easy technique is to start every staff meeting with a simple question—who is doing a great job for us? This allows your direct reports to hear about the important work that is happening across the organization. Plus—and here’s the big nut—you can have a huge impact on your organization by taking the time to pen a quick note to each of the people who are mentioned. This does not need to take a lot of time—for me, it was a three line note that took less than a minute to write. It is simple but I can’t tell you how many people came straight to my office from the mail room to thank me for the note or how many notes I saw posted in people’s cubes. DO use the time to provide an overview of what is happening across the organization. Comments from the leader are an area that people embrace—they want to know what is going on and they want to know what you think—so make this a key component of the meeting. DO spend time solving problems. Too often, we schedule special meetings to solve the problems of the organization. Why not spend time in the staff meeting working on real issues—after all, you already have everyone there and people feel productive solving problems. DO send a recap of your staff meeting to your organization. A long time ago, I noticed one of my direct reports taking notes in my staff meeting. I asked her why she was writing things down and she said—so I can tell my staff what we talked about in this meeting. And it hit me that I had lost control of the message if that is the way people hear about what I am saying. So, I started sending out a recap of my staff meetings and this became very popular. After all, most people are curious about what goes on in these meetings so why not tell them? I found this was a great communication vehicle where I could make sure the entire organization understood where we needed to be focused in order to achieve our goals. Sometimes, we might spend a short time talking about a topic in the staff meeting because everyone there had history with the subject, but I might spend half my recap making sure everyone else understood why the issue was important, what had happened so far and what we needed to do moving forward. Of course, there will be other topics that might take a lot of time in the meeting but aren’t appropriate to share with a larger audience. But, most topics can be shared and you will be surprised at the response. One final point: This is not a task that can be delegated. This works when it is a personal message from you to your entire team covering the topics of importance to the organization. DO NOT have outside speakers. Ok, sometimes you want them—for example, you definitely would want one of your key business partners to come and explain their strategy—but often outside speakers are simply used to fill time. There are always MANY people who want to speak at your staff meeting and most of these presentations are BORING. Try this test: If you had a policy of not having outside speakers at your staff meeting, would you schedule a separate meeting on the subject the speaker wants to present? DO NOT cancel your staff meeting if you can possibly avoid it. What do cancellations say to your direct reports? They say something has come up that is more important than them! This is fine if it seldom happens but, if it is common, it is sending a very bad message to your staff. DO NOT have long staff meetings. A staff meeting that is an hour or an hour and a half needs to be crisp and things need to move along. This keeps people engaged and that is what you want. I remember one staff meeting I attended that was all afternoon every other week. So, what happened? People went on unproductive tangents while others spent a great deal of time on their BlackBerrys and the meetings were very painful. Which brings me to my final point. DO NOT allow people to use BlackBerrys or similar devices in the meeting. Have a policy that—if something comes up that is important—the person should leave the room to deal with it. Otherwise, you will often have people doing their email rather than listening to the conversation. And, the behavior will spread—once one person starts doing emails, lots of others will reach for their devices. Hopefully this has provided you with some good ideas and—the next time you do need to cancel your meeting—your staff will be anxious for it to be rescheduled rather than singing the song their favorite football team plays when a touchdown is scored.